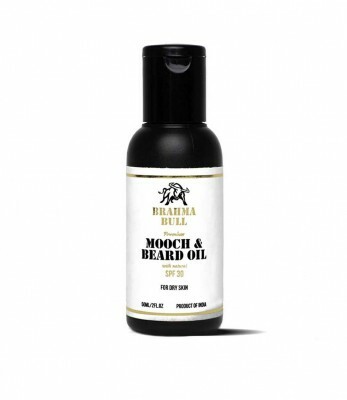 Brahma Bull’s Mooch & Beard Oil has been formulated keeping in mind the Indian Men. The oil is designed especially for men with dry skin to provide a special touch of personalization and to meet needs of different skin types. We built this from the ground up to be the most premium beard oil on the market. We've combined all that we have learned and took it to the next level. The base oils are a proprietary blend of premium oils, highlighted with Jojoba Oil and Argan Oil. Jojoba Oil is prized for its ability to help with the healing process of skin - leaving your beard and face its best. Coconut Oil and Lime Essentials with hints of Carrot Seed Oil and Eucalyptus add to the quality of the oil.